The Scott House :: Pierre Koenig, Architect. An early experiment in his Steel and Glass narrative, Pierre Koenig presents in The Scott House a new model for postwar suburban life. 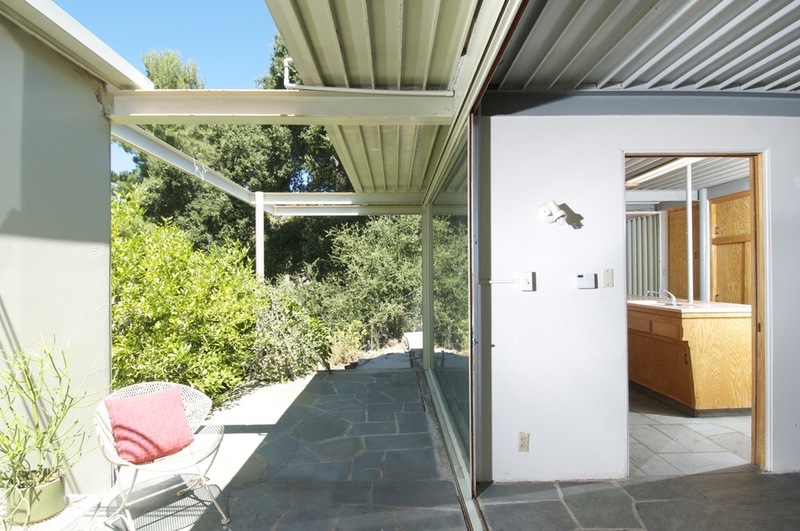 One of five projects predating his work for the Case Study program and virtually unaltered, the house looks strikingly modern 50 years later. Lifted from the street against the foothills of the Angeles National Forest, the house surveys an artistic enclave of mid-century post & beam homes in the rural community of Tujunga and sits on a half-acre horse property. Truly a machine for living, the home's efficient floor plan reaches well beyond its modest square footage with nearly every room opening to the natural beauty of the foothills through massive sliding glass panels. 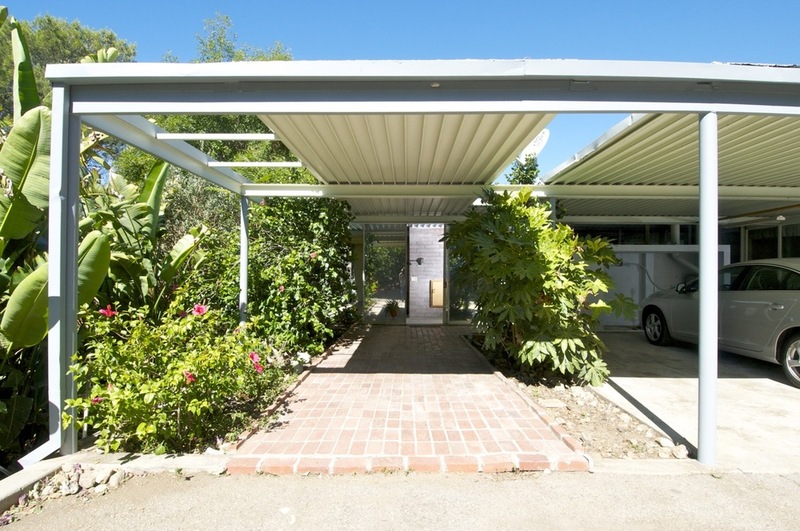 This home presents a singular restoration opportunity to the buyer wishing to own an iconic piece of Southern California architecture.